After taking a year off, the Indigenous Music Awards are back and doing things differently. After taking a year off, the Indigenous Music Awards are back and doing things differently. This year, the awards boast a new venue, a new look and a new way of selecting winners. The nominees in 18 categories for the 2017 awards were announced on Tuesday. "When you run something that is a bit of a popularity contest, it's not a level playing field," said Angie Lamirande of POP Entertainment & Management, which is doing communications for the awards show. "We had artists who were phenomenal in their own right but came from a smaller community, or a community with limited internet access, among other barriers," she said. Lamirande hopes the new voting format will open doors for new artists as well, helping them get exposure to music industry veterans. 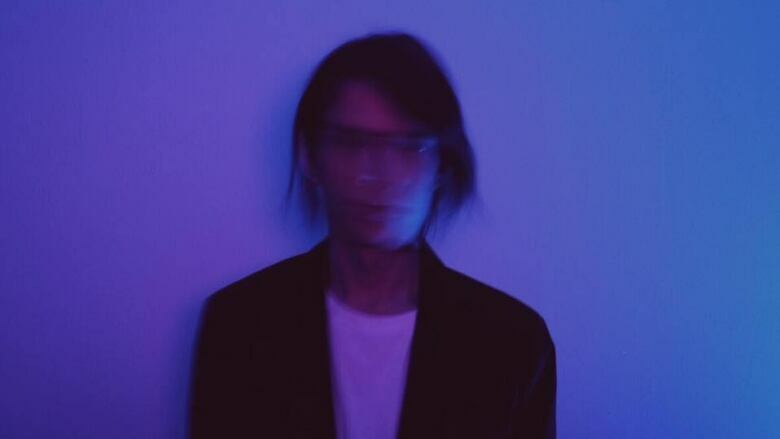 Ziibiwan Rivers, who performs as Ziibiwan, was among the nominees announced Tuesday in the best new artist category for his album, Time Limits. Other nominees in the category are Bryden Gwiss Kiwenzie for Round Dance and Beats​; Carsen Gray for her self-titled album; Lisa Muswagon for Buffalo and Rabbits​; and Mariame for Bloom. "I was incredibly shocked. I mean, humbled and grateful, but really shocked," said Rivers. "I'm next to DJ Shub [and] Mariame. I don't even think I am on their level." The 22-year-old is from the Wikwemikong Unceded First Nation on Manitoulin Island in northern Ontario, but lives in Toronto. "I think Indigenous music is becoming fluid. As half of the Indigenous population is moving into cities and stuff like that, our art is going to grow too," he said. He is also nominated for best instrumental album for Time Limits, his debut EP. He describes his laid-back sound as ambient, taking inspiration from the land, language and syllabics. "It really goes into the music too," he said. "In a way it is there, but not in visual form, in a more spiritual level." CBC Radio's own Unreserved, hosted by Rosanna Deechild, is nominated for best radio station program — promoting Indigenous music. "It's part of our role as Indigenous radio to get the artists out to the audience," said associate producer Kim Wheeler. CBC Radio's Unreserved is nominated for its first Indigenous Music Award. 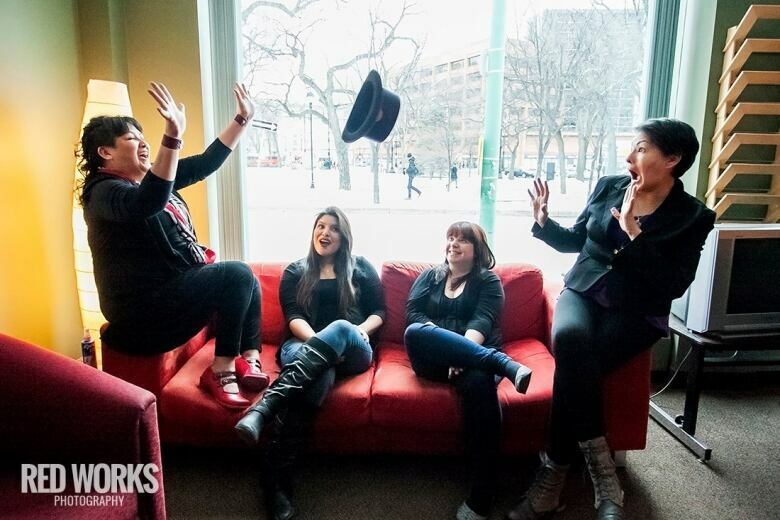 From left to right are producers Kim Wheeler, Erica Daniels and Anna Lazowski, and host Rosanna Deerchild. (Red Works Photography)Unreserved is nominated alongside many of the artists it showcases each week on the national radio show. "We do a lot of specialty musical interviews, where one guest will take up an entire show," Wheeler said. "We will talk to artists about the songs that inspire them, their own music and what the songs mean to them." Native Waves Radio/NDNs on the Airwave, Native Waves Radio/2Ro Media Inc. The Indigenous Music Awards will be presented on May 19 at the the Club Regent Event Centre in Winnipeg during the Manito Ahbee festival. This year, Alberta-based and Grammy Award-nominated powwow group Northern Cree will be honoured with a lifetime achievement award. A full list of this year's nominees can be seen here.